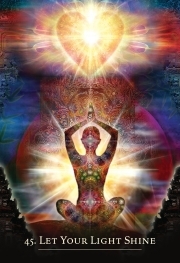 Experience the Light of your Soul! 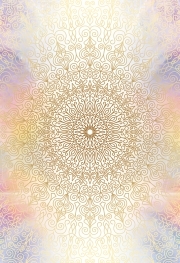 The impulse to create and energise peace, love and fulfilment is alive within you. 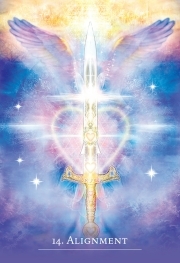 This glorious oracle works with the mysteries and secrets of the light to illuminate the rich possibility and potential inside you. 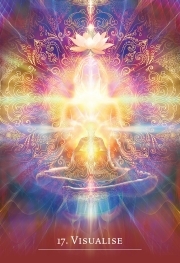 The light is a constant guide and support and its language inspires, empowers and activates your soul spark. Step into the wonder of the light through the inspired insight of Denise Jarvie and the radiant artwork of Daniel B. Holeman to enliven the love, vision and strength of your heart. Access the wisdom of these stunning cards through the specifically designed meditations, reflections and exercises for divination, contemplation, or revelation. You can, also, work through the 45 cards and detailed 164-page guidebook for a complete soul mastery class. The language of light speaks to eternity, to life and to you. Tune into its secrets and shine! 45 cards and 164-page guidebook, packaged in a hardcover box set.